is a company created to teach Cardiopulmonary Resuscitation and First Aid in the home, office, school or work place. C.P.R. is a vital skill for everyone and required by many employers. is an official American Heart Association Training Center. 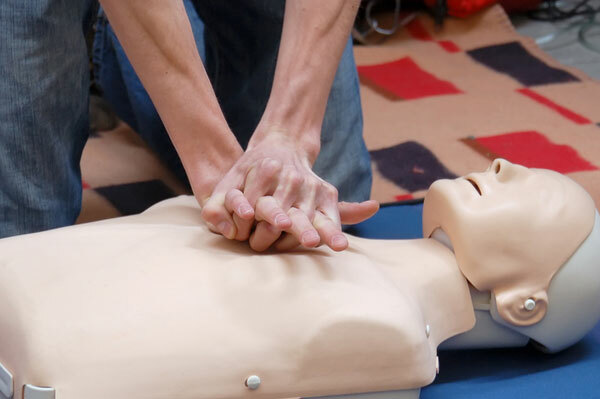 We offer a standard basic life support class which includes adult, child and infant CPR, foreign body airway obstruction and airway management in addition. Pediatric, healthcare provider and instructor courses are also available on a regular basis. All equipment is new and "state of the art". Mobile CPR classes are taught by experienced and dynamic health care professionals. The classes are designed to be as fun as they are informative. offers: Heartsaver CPR, Adult, Child Infant, Health Care Provider, Day Care Provider, AED, CPR Instructor courses, BLS First Aid, Pediatric and Wilderness First Aid classes. Call or email Bill or Stephanie Mashek for information and prices. Can you save a life if someone is choking? Learn choke saving today! !